While the figures might suggest that mobile rules the roost in gaming, PC gaming is still big business. Not only are there estimated to be over 1.2 billion PC gamers worldwide, sales are predicted to hit $13 billion by the end of 2018. By 2022 it could rise to $18 billion. So let’s not write PC games off to the dustbin of history just yet. PC games are more playable, involving and engaging than ever – thanks to advances in technology as well as the huge growth in trends such as MMORG and MMO gaming available on the PC. Here we’ve singled out the five best PC games based on gamer and critic reviews. Do you agree with our choices? Let us know in the comments below. The huge success of Fortnite Battle Royale has taken the gaming world by storm. It was released by Epic Games – and trust us, it genuinely is epic. That’s why an estimated 125 million gamers globally are hooked – and many more tune in to Twitch to watch the world’s best players in action. Fortnite Battle Royale features 100 players, playing alone, in duos or in squads of four. Everyone is battling to be the last player or group alive by killing other players or evading them in a variety of setting. The suspense is addictive, and from the moment that you’re airlifted in to the island by the Battle Bus, it’s a heady mix of construction – and destruction. The tone of the whole game is perfectly pitched to appeal to a wide range of ages. Fortnite Battle Royale may be a free game, but the in-game purchases are very tempting. For example, it’s easy to invest in some V-Bucks – the in-game currency that can buy you everything from new character skins to the Battle Pass which can give many added advantages. Also in the pipeline, according to Epic Games, is the addition of ‘ranked competitive play’, which is sure to take the level of enjoyment up yet another notch. It’s hard to believe, but it’s now 17 years since the very first version of Halo: Combat Evolved was first released on Xbox. The series is based on the story of an interstellar war between humanity and an alliance of aliens known as the Covenant, and it’s been one of the most gripping games franchises ever – making more than $5 billion in sales. And now we’re soon to see the launch of the latest in this long-running franchise with Halo Infinite. Many details of the new game are still under wraps but given the game developers’ track record, we can be sure that it will more than live up to the Halo legacy that has come before it. The really exciting news is that it will be available from launch for PC. Previous generations of the game were released for console play, with Windows versions following on a couple of years later. This change in tack is part of Xbox chief Phil Spencer’s plans to bring the console and Windows platforms together. The new edition of game promises to be an exciting continuation of the increasingly complex Halo universe and the next chapter for the Spartan-II team in the follow-up to Halo 5: Guardians. If you’re the type of adult who’s kept hold of the teddy bears you had as a kid, check out Fluffy Favourites. There are hundreds of slot games out there – these days, they cater for every niche going – and this super fun adventure slot could very well be the game for you. Best of all, it’s not only free – it gives you a chance to win a jackpot, with some awesome cash prizes available for lucky winners. As the name suggests, the characters on the five reels with 25 win lines include cute and cuddly lions, hippos, dragons and giraffes. Designed by Eyecon Games, this cult classic is awash with cute animals that bring back your cosiest childhood memories. And you can bet as little or as much as you want, with a wide range of betting limits – from 1p per line to 25p per line – and lots of free spins and bonus rounds up for grabs. And if you want to come back for more there’s a sequel – Fluffy Too – which features a classic coin-pusher and a special Toy Box round. Here you get the chance to use a virtual mechanical grabber to get hold of a life-changing cash prize. Find out more about this heart-warmingly cute slot game here. If you all want all the fun of the fair and the chance to head home with some big winnings, this is definitely the game for you. Like Fortnite, League of Legends is another PC game built on the ‘freemium’ model, with in- game micropayments forming the source of its revenue for developers Riot Games. 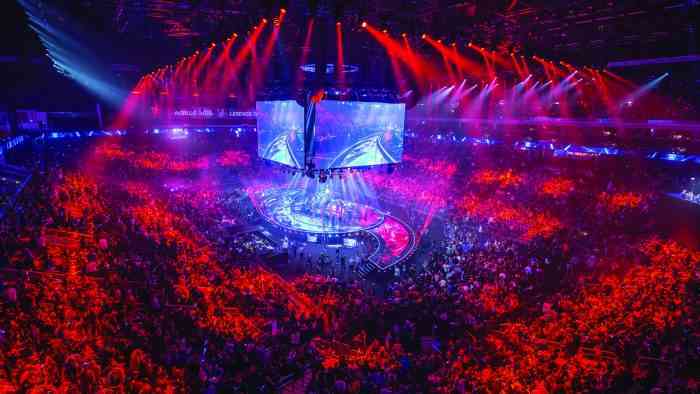 With an estimated 100 million players worldwide, plus one of the biggest Twitch audiences, the 2017 World Championships prize fund was a cool $4 million. The action of the game takes place in three distinct modes – Summoner’s Rift, Twisted Treeline, and Howling Abyss. Each has a different map to negotiate with enemies to defeat and different powers to be gained along the way. Players are known as Champions, of which there are 141 variants. Some can inflict physical damage, while others have magical powers – and some have both. The only advice you need when playing this game is ‘expect the unexpected’. Your luck can change in the blink of an eye, and there are numerous gaming modes offering infinite possibilities of success. That’s perhaps why its popularity continues to grow. Life Is Strange has been a surprise success in the past few years. Recent news that Dontnod Studios announced will soon be releasing a sequel went down well among players who wanted to know what fate has in store for its main protagonist, Max. If you want to know what situation Max has found himself in, you’ll have to play the first Life Is Strange. It’s a masterclass in storytelling. Max returns to the town of her birth to enrol in an elite art school. At the school she saves a girl who has been shot from dying, and in the process discovers she’s a childhood friend. From this point they join in the search for another girl who has mysteriously disappeared. The great appeal of the game is that it’s easy to immerse yourself in all five chapters of the story, which has drawn comparisons with TV shows like Twin Peaks and the more recent Sharp Objects. For a recreation of the claustrophobic atmosphere of small town America combined with a compelling and mysterious storyline, it really can’t be beaten. These five PC games illustrate just how alive and well PC gaming is. At least one of these games will have you hooked from the off – try them all and we guarantee one will become your favourite.